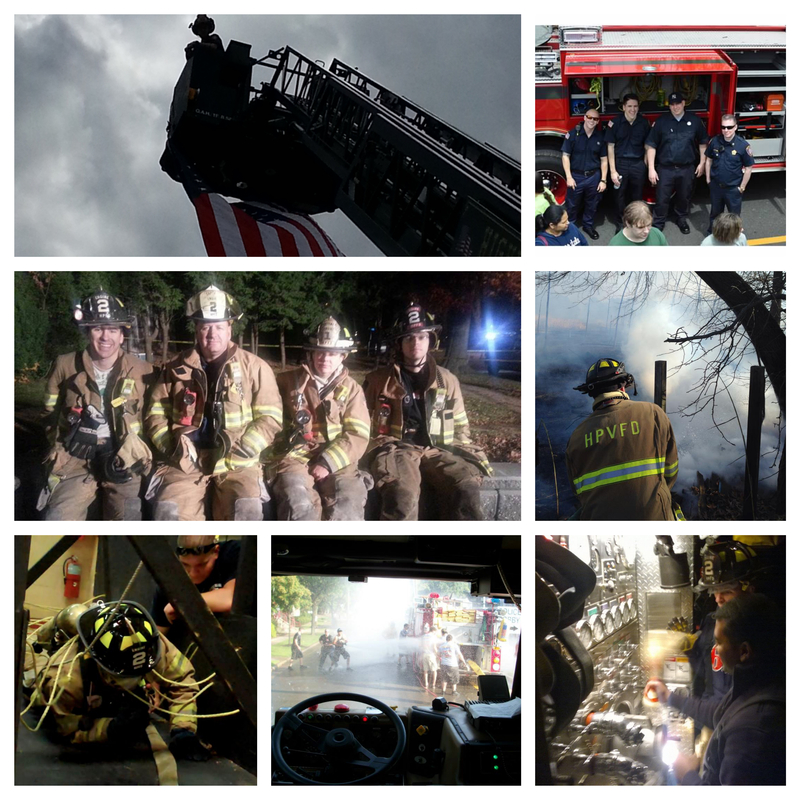 Previously this week we have discussed the roles some of our members take on the business end of the fire department. 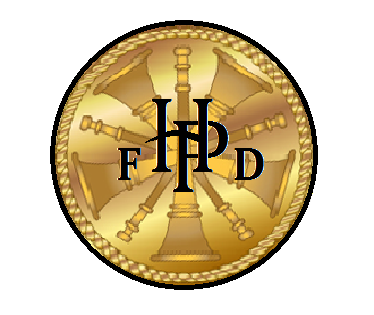 Today we will discuss the leadership of the firematic side of the department. 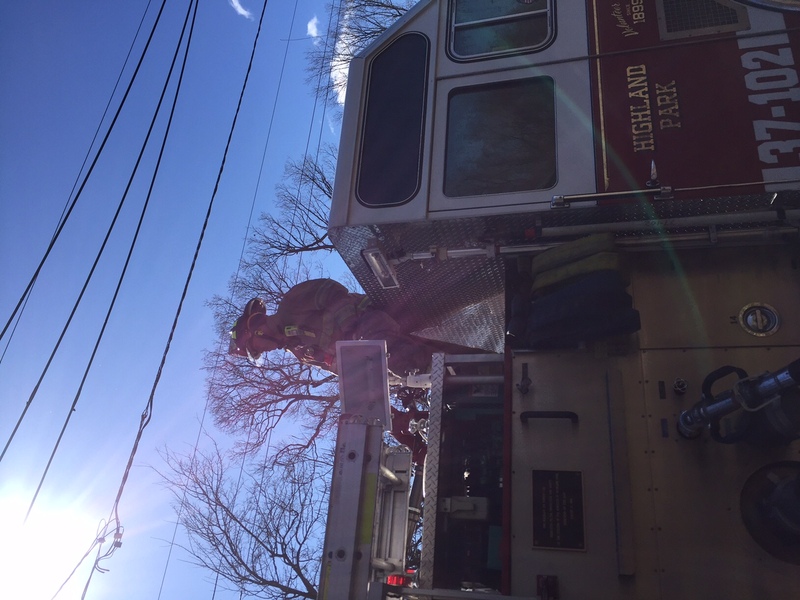 The firefighters of the Highland Park Volunteer Fire Department are led by Fire Line Officers. These Officers include the Chief of the Department, Jay Littman, First Assistant Chief Marc Robinson, Second Assistant Chief Tim Langan, and Captain Peggy Brookes. 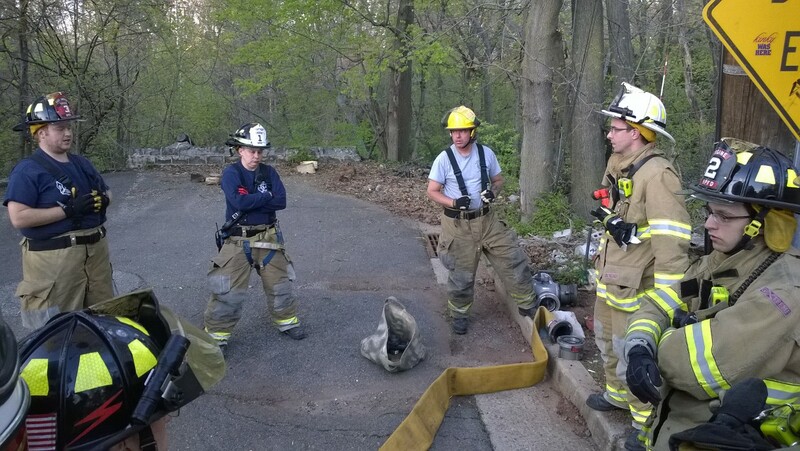 While leading firefighters during daily fire calls and other emergencies all of these officers also carry additional duties. 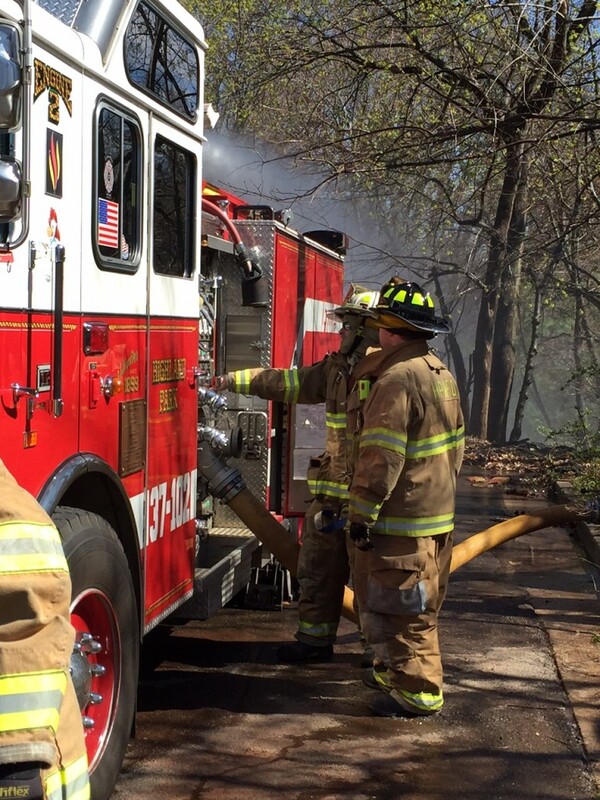 Chief Littman is ultimately in charge of the part time paid firefighters and the volunteer firefighters. He over sees all operations, training, equipment, budgets, and works with other officials from the boro. 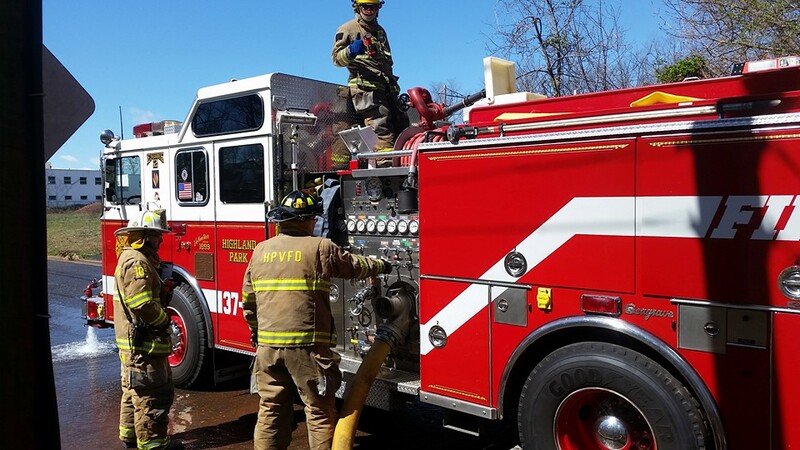 First Assistant Chief Robinson is responsible for maintaining existing equipment and apparatus as well as purchasing new equipment when necessary. 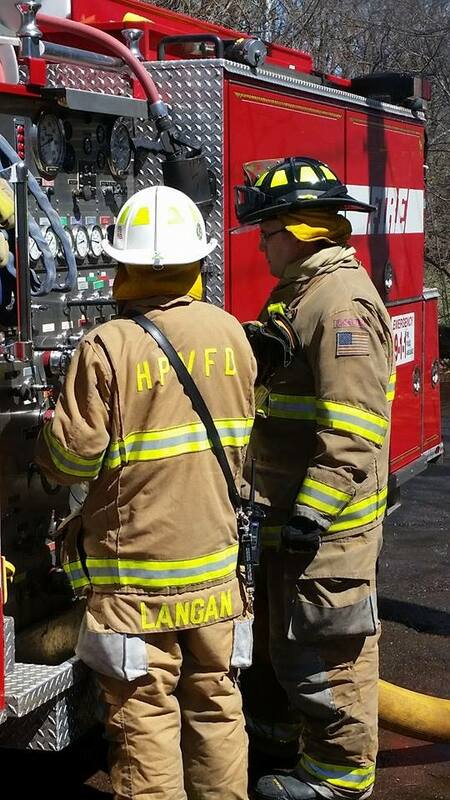 Second Assistant Chief Langan plans all departmental training as well as the development of probationary firefighters and enrolment of firefighters to any of the local fire academies. Collectively the three Chiefs of the department are referred to as the investigating committee. They review all new applications to the department and conduct interviews of possible candidates. Captain Brookes handles company level training, company meetings and elections. During monthly Officers Meetings they each give reports on what they are working on and discuss how to make improvements. 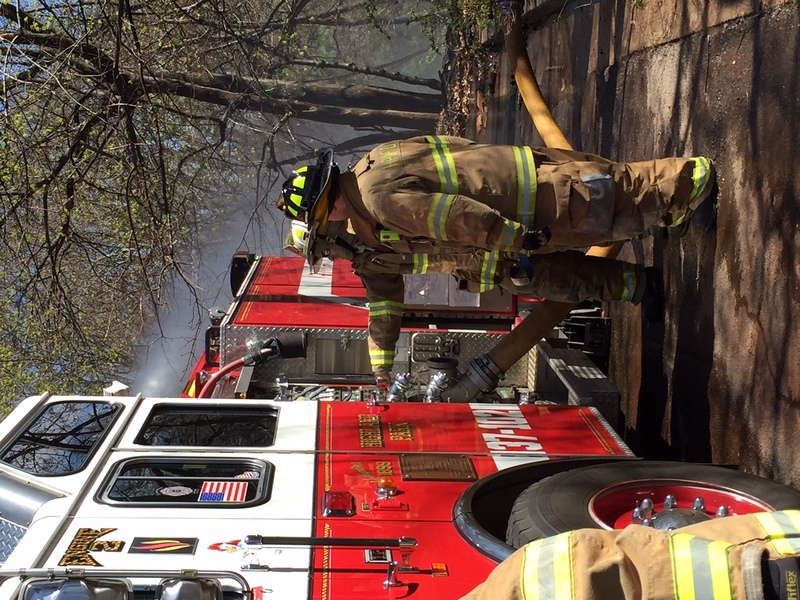 Thank you to all of our Fire Line Officers for all of your hard work and service to your firefighters. 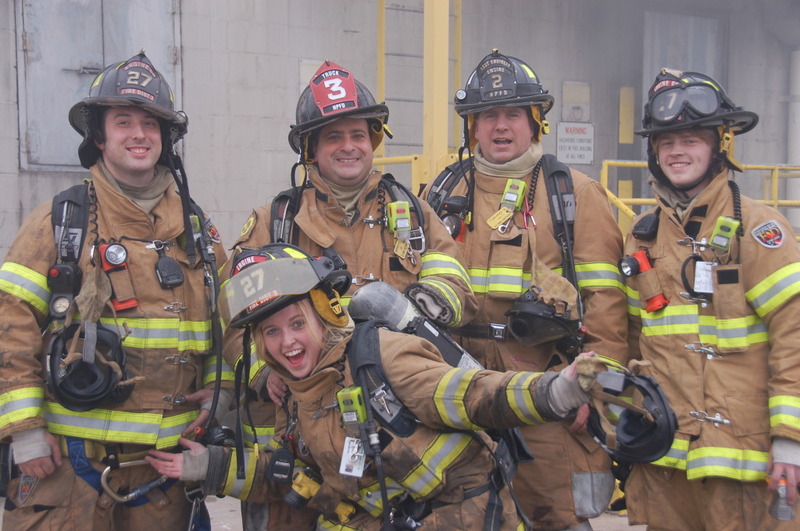 Today marks the start of National Volunteer Appreciation Week. To celebrate we will be posting articles on our blog to highlight our members and their contributions to the department starting with our Chair Officers. 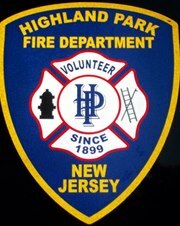 The Highland Park Volunteer Fire Department Inc., just like any other corporation is run by Chair Officers. These Officers include President and Ex Chief John Byrne, Vice President and Ex Chief Hector Malave, Secretary and current Captain Peggy Brookes, Treasurer Joe Romano, and Financial Secretary and Ex Chief Mike McMahon. It is these individuals who spend countless hours keeping all of the departments affairs in line ensuring that all business is handled in accordance with our bylaws. They oversee the departments finances and are involved in the planning of all major public events. Thank you Chair Officers for your hard work! 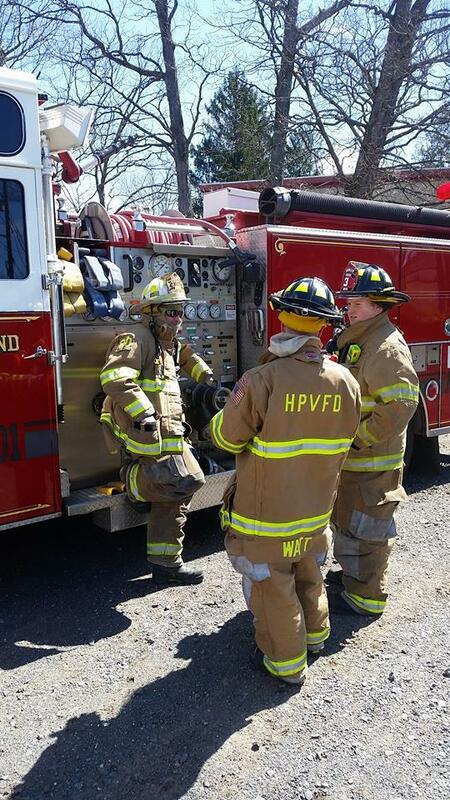 This morning at 0752HRS, The Highland Park Volunteer Fire Department was called to 227 Raritan Ave. to assist the First Aid Squad with removing a resident from the basement of the residence. The resident, while leaving their apartment on the second floor, had fallen through the stairs into the basement. 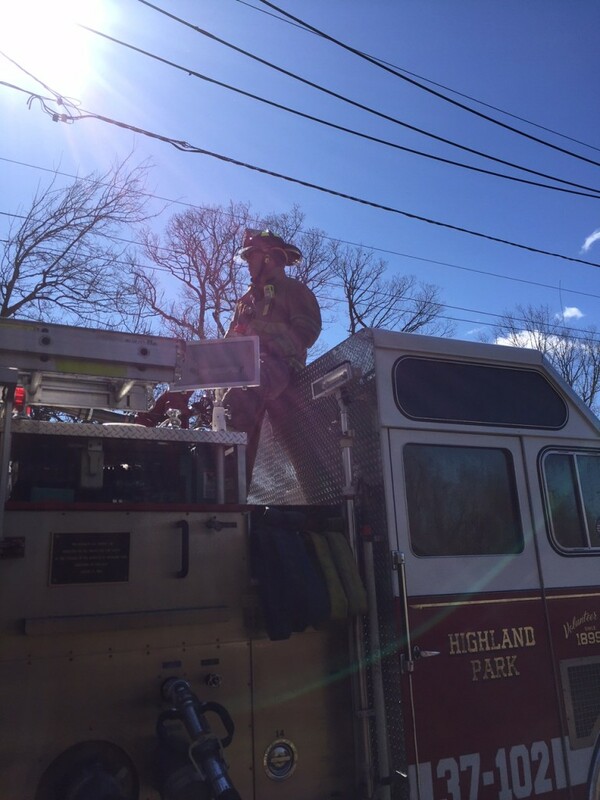 The firefighters on scene, led by Chief Littman, assisted the Squad with removing the resident by utilizing a backboard and rope rigging. They safely removed the resident thro…ugh Bilco doors in the front of the building. 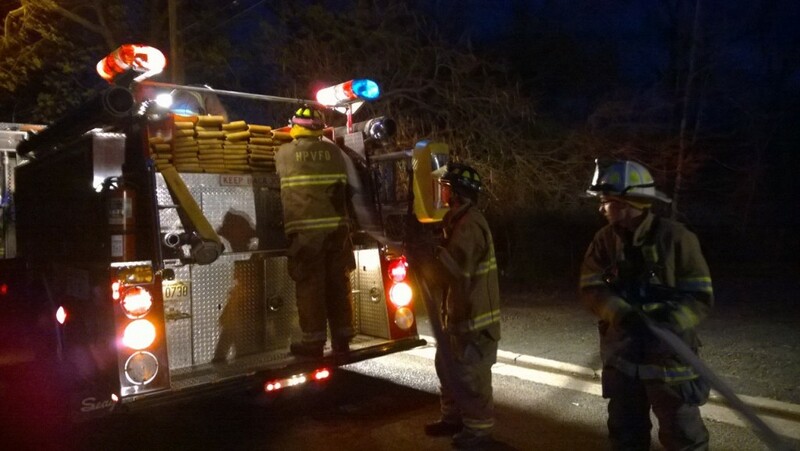 The resident was then transported to a local hospital. 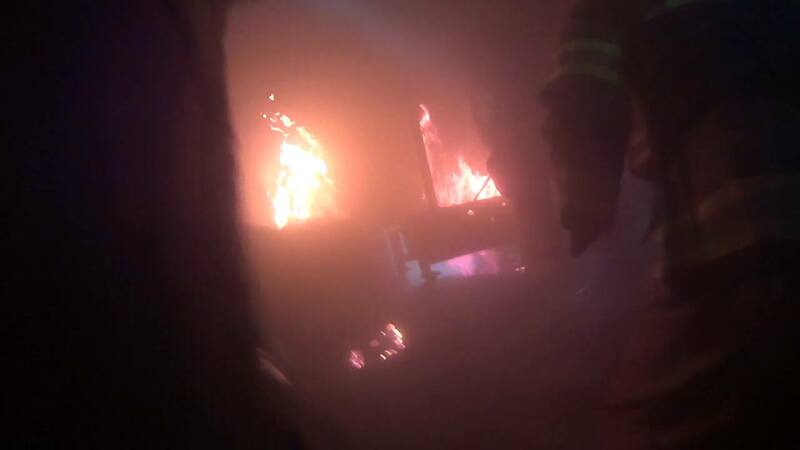 After that, the firefighters were made aware of more residents on the second floor that could not leave the apartment because of the collapse of the stairwell. 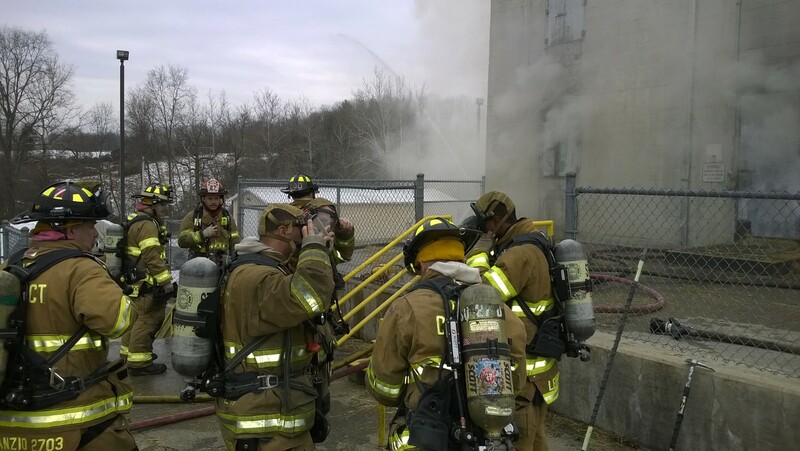 The firefighters utilized ground ladders to remove the rest of the residents from the windows. Another great job by the firefighters of Station 37! 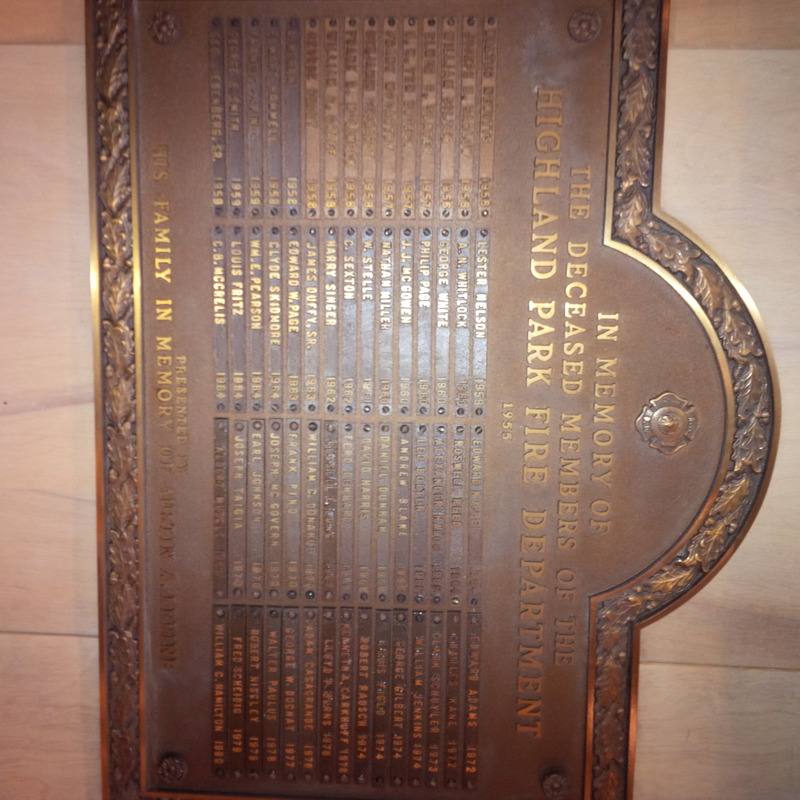 One year ago we wrote a post looking for a sponsor to help us purchase a new plaque for the firehouse. 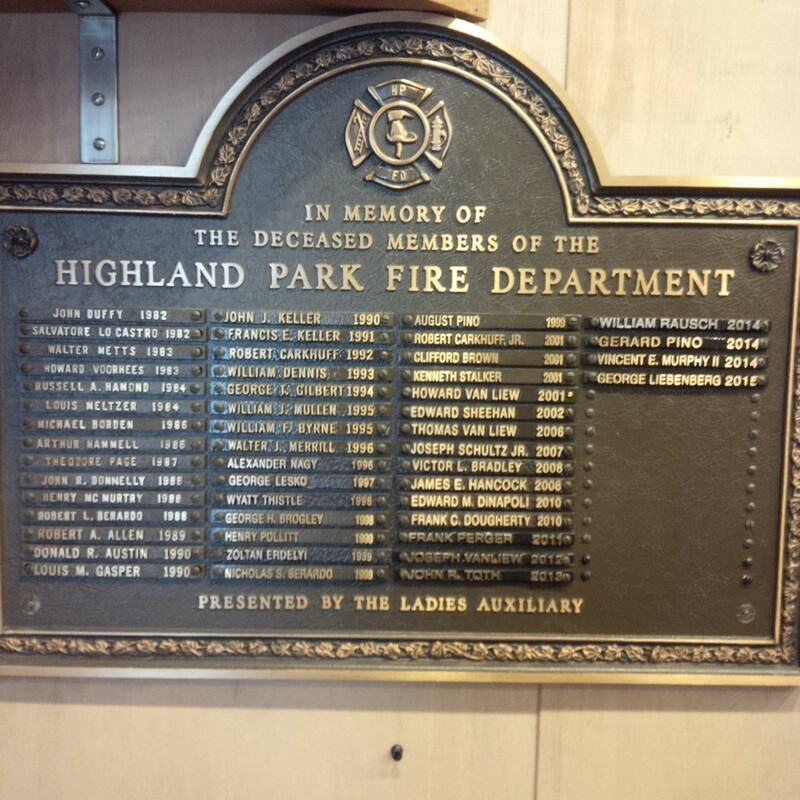 The plaque was to join several others that honor deceased members of the Highland Park Volunteer Fire Department. 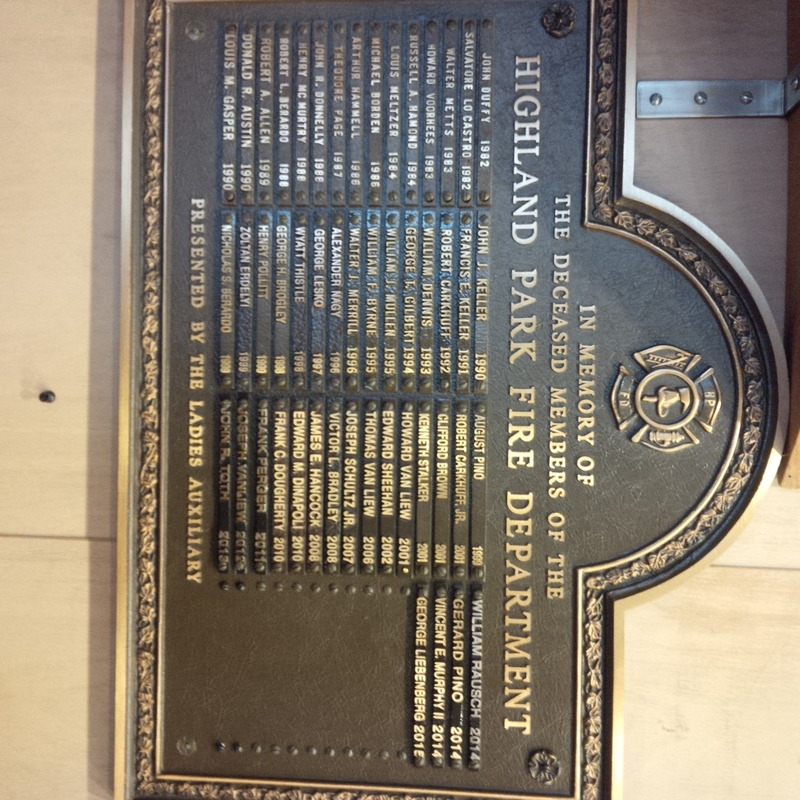 We were running out of space on our most current plaque and looking ahead to have one ready to record and honor those who dedicated time to our department. Christopher Pino stepped right up and made the donation on behalf of his family. 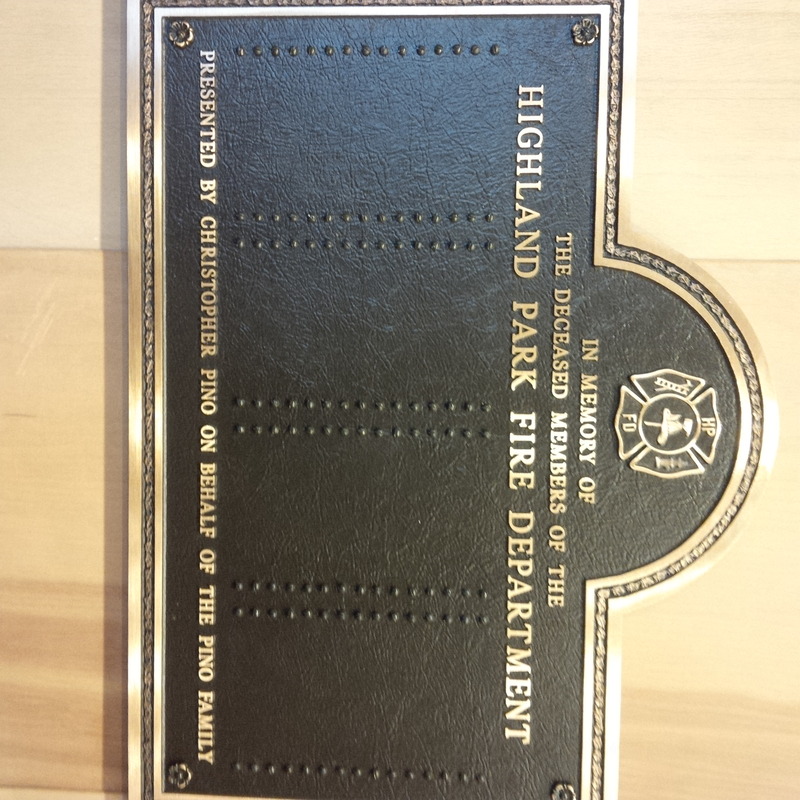 The Pino name has a long and prestigious history in both HPVFD and the Borough of Highland Park. 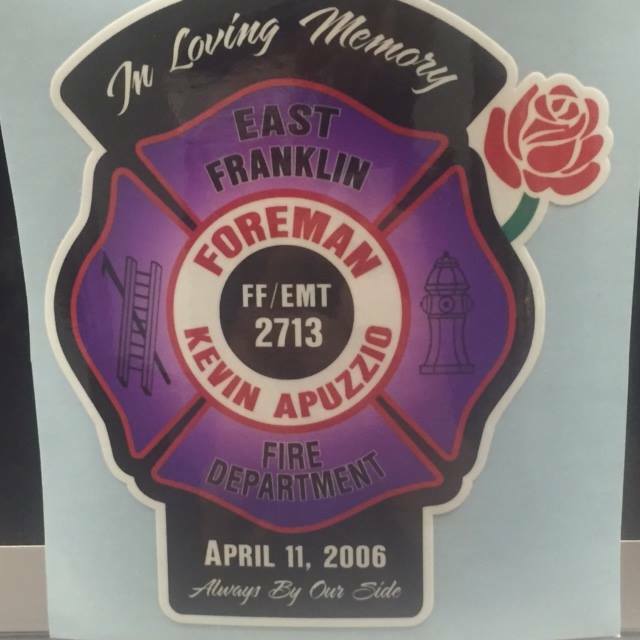 Several members of Christopher’s family, and Christopher himself have served as firemen for HPVFD. 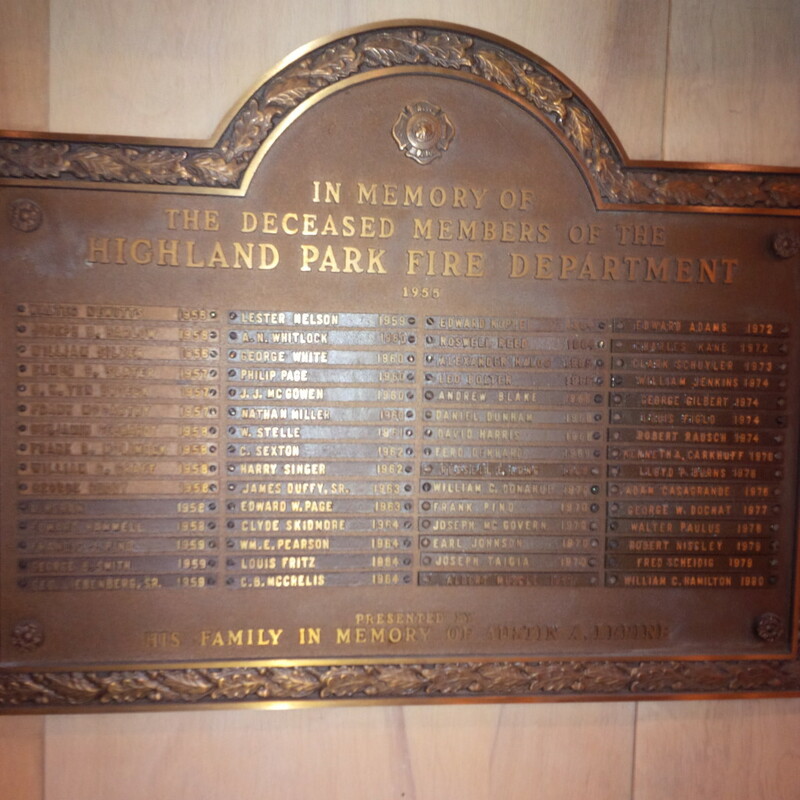 The bronze plaque was ordered, produced and installed by The Bannister Company from Milltown, NJ. 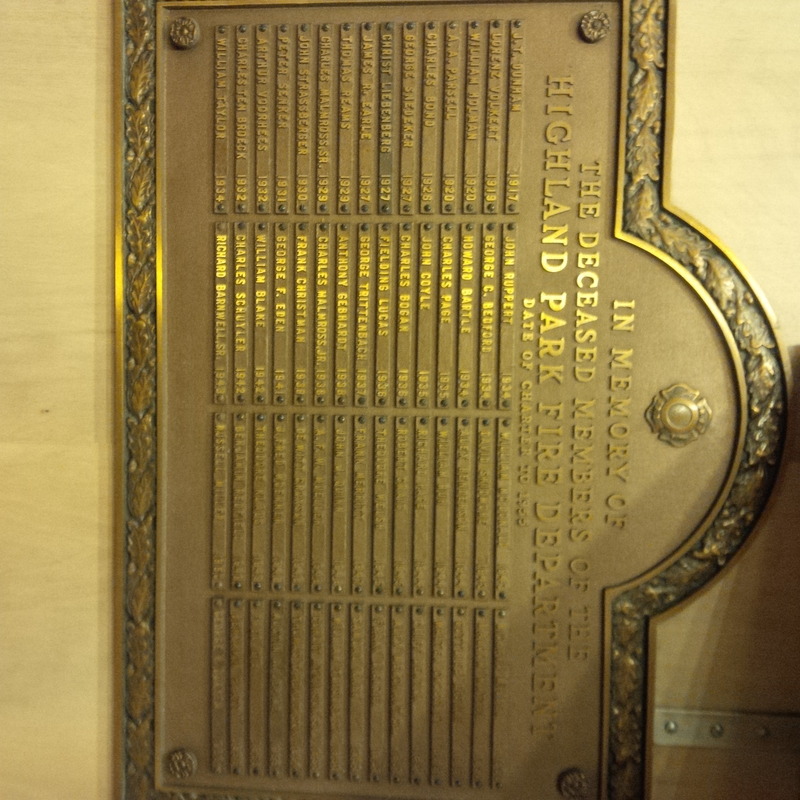 It sits next to several others in the firehouse recognizing and remembering those who served before us. 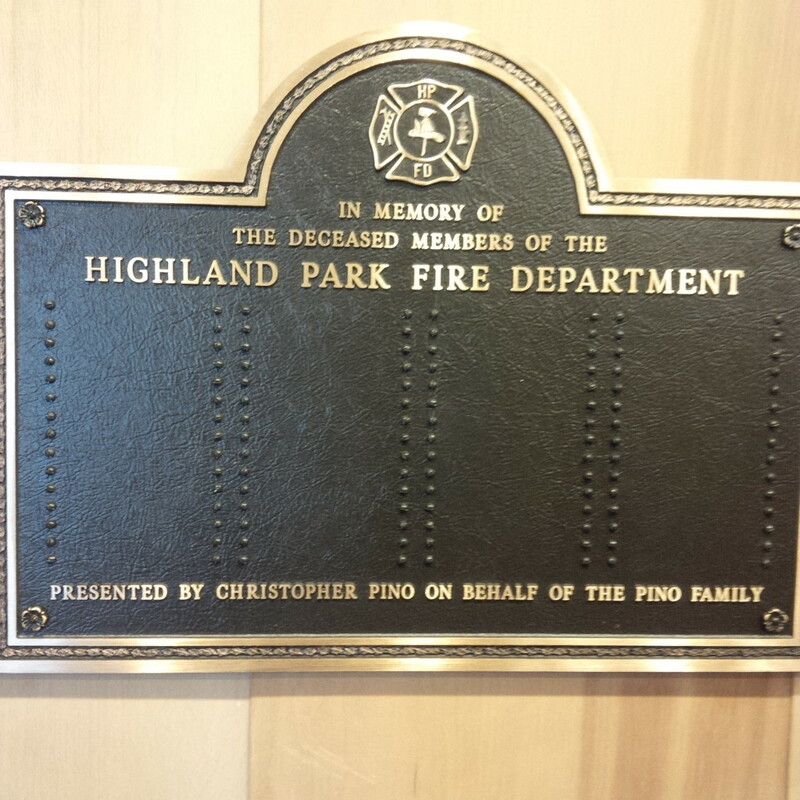 The Highland Park Volunteer Fire Department cannot thank Christopher and his family enough. 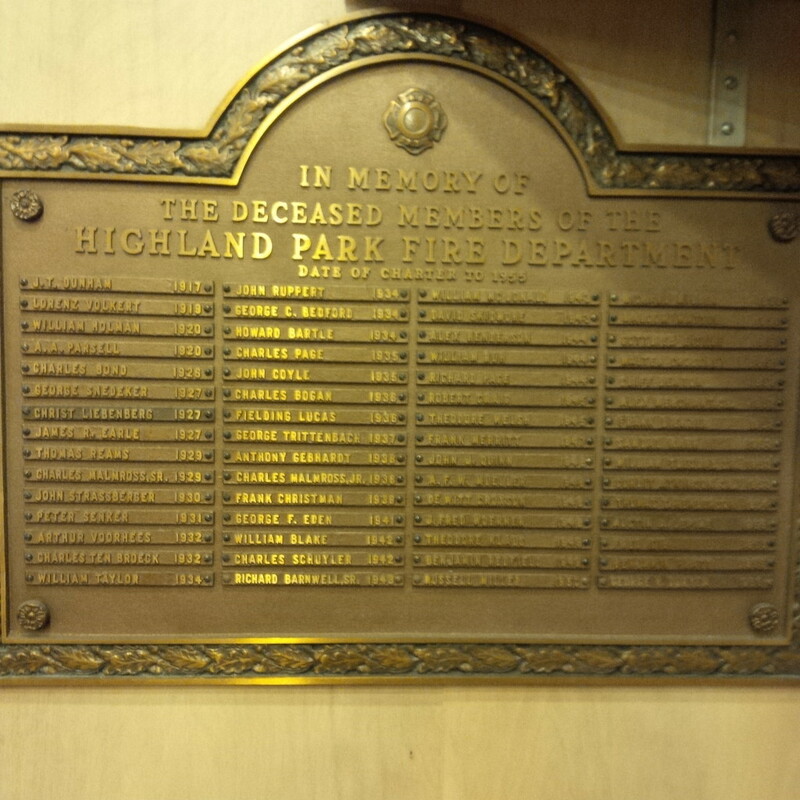 The generous donation helped us purchase and install this wonderful plaque. Thank you Pino Family! Fire Engines carry a variety of hoses to fight fire. 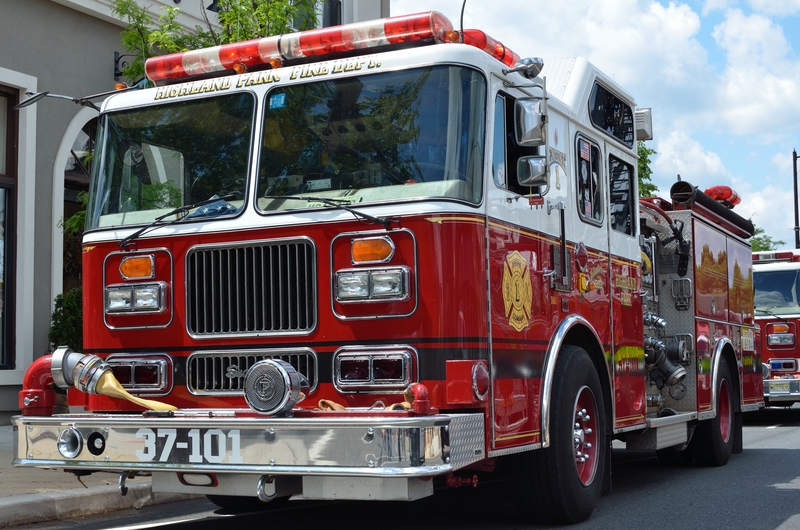 Many of the hoses are “preconnected” – they are connected directly into discharges from the engine’s pump to get water on to a fire. 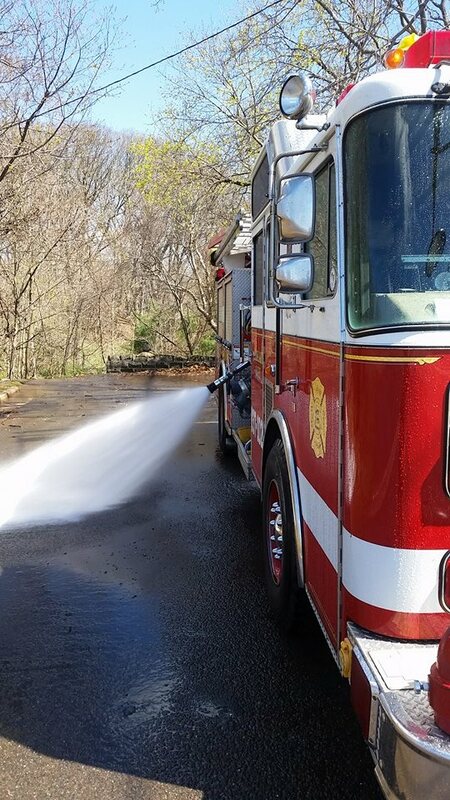 During an emergency the driver of the engine and those in command must take into account what hoses they are carrying, where the emergency is occurring and how to position the engine to effectively and safely deploy hoses. What happens if a preconnect is too short to reach a building, room, etc. despite engine placement? 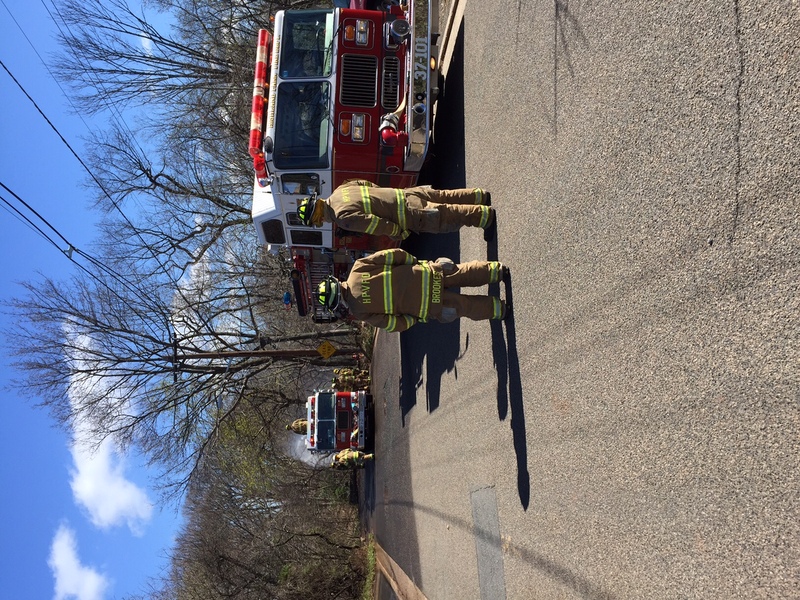 For the April, 2015 Departmental Drill the Highland Park Volunteer Fire Department trained on just this scenario. 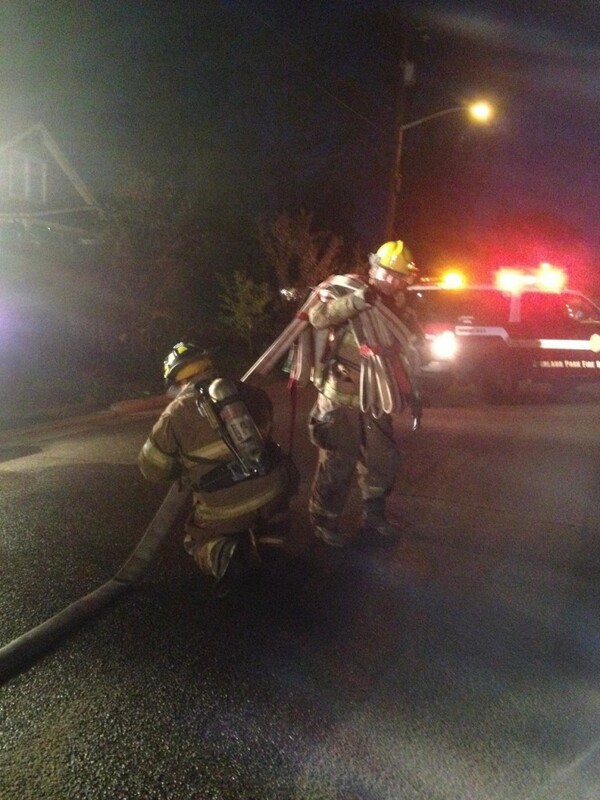 Firefighters worked repeatedly deploying hoses to extend the reach from the engine. 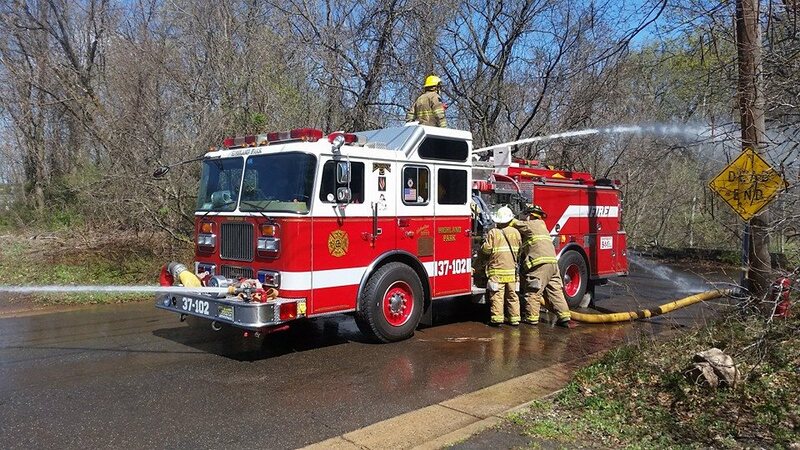 Efficiency and speed improved each time through and firefighters were able to work on a variety of skills (hose deployment, hydrant connections, pump operations, handline operations). 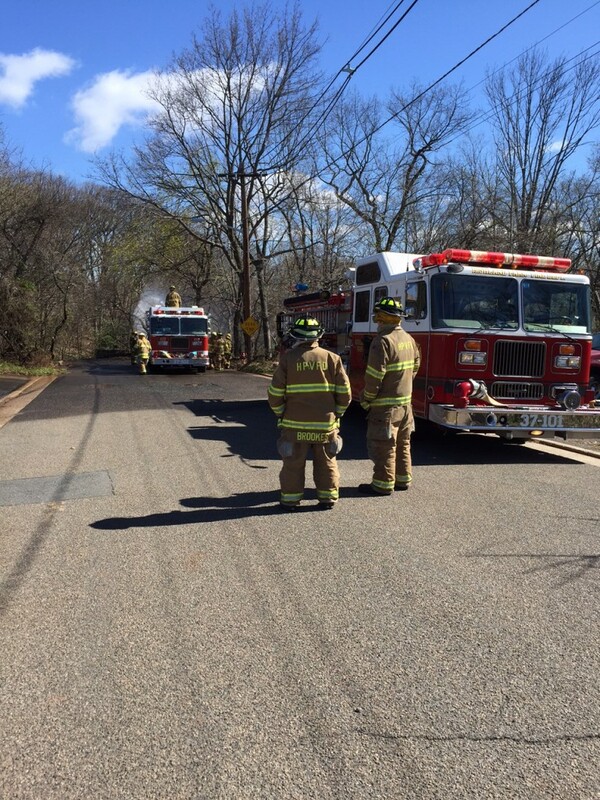 A great and important drill – thanks for everyone who showed up and worked hard.